I was standing in Anthropologie a few weeks ago when it hit me. 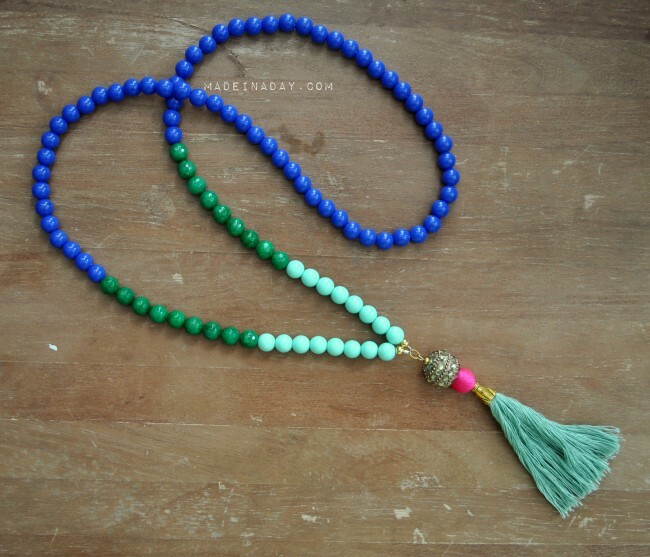 I was contemplating spending $45 on a bold necklace made of wooden beads with a neon tassel at its base when I thought, “I could totally make this”. 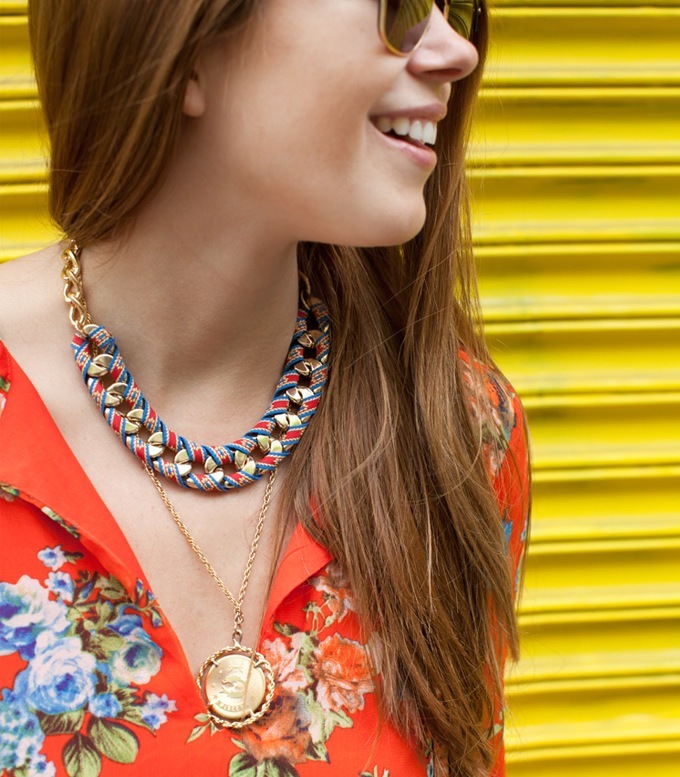 I love the way that a fun statement necklace can transform a plain outfit into something whimsical and spirited. 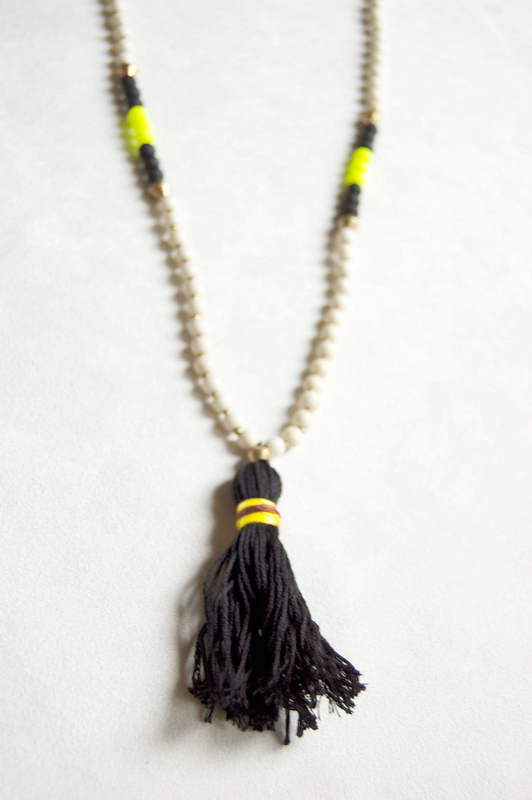 And, so many are made with easy-to-use materials such as wood, soft leather, ribbon, fabric and basic beads. Why not make my own for less?! 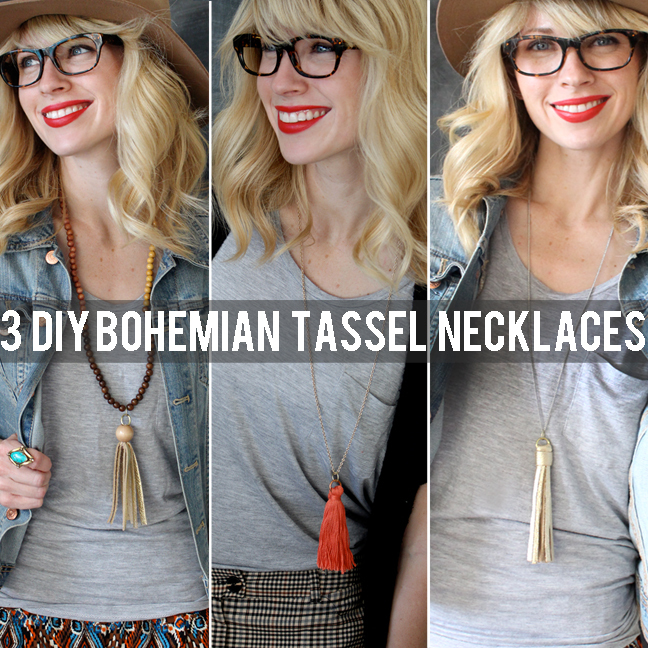 As I was scouting for tutorials I came across an amazing number of beautiful statement necklace DIYs. So many options from bold to quietly stunning! 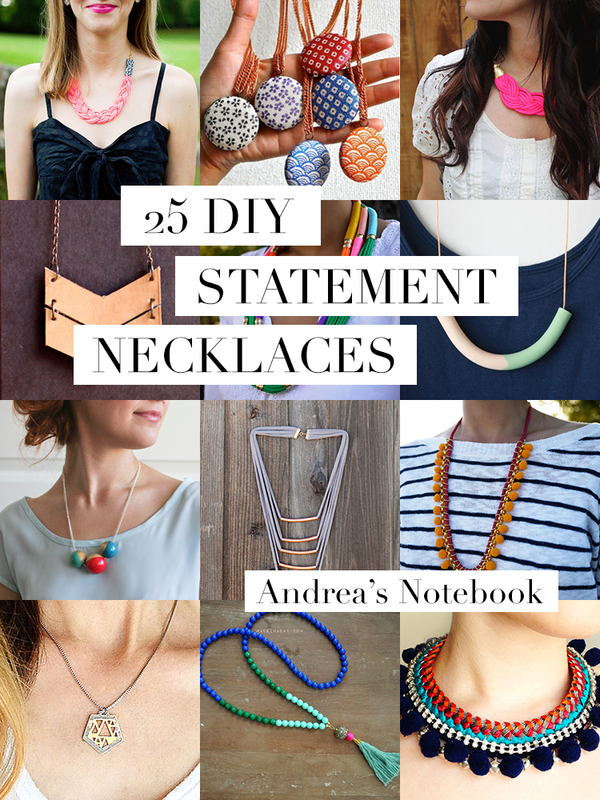 I decided to round-up the 25 best DIY statement necklace tutorials. 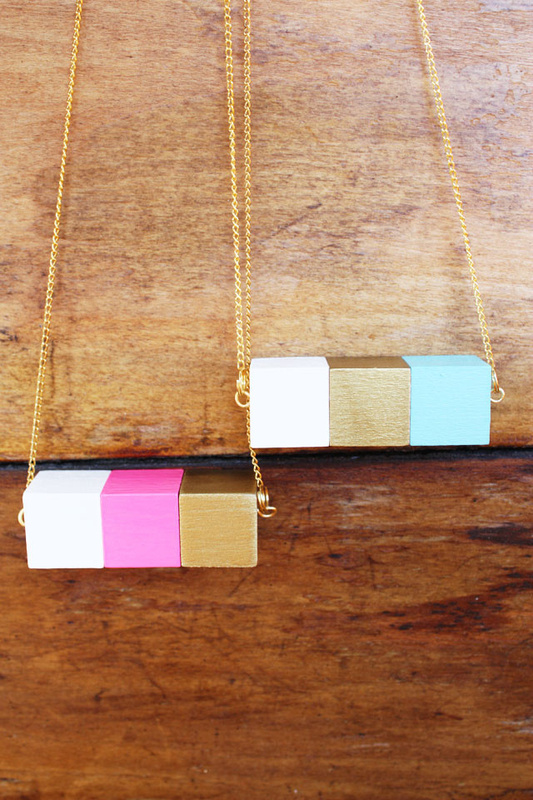 Spring breezes are in the air, my friends, it’s time for some bold and beautiful necklaces! This striking piece from Anna Evers has a little bit of everything texture-wise. Go for a big, artsy look with this metal choker embellished with pom-poms, ribbon and charms! 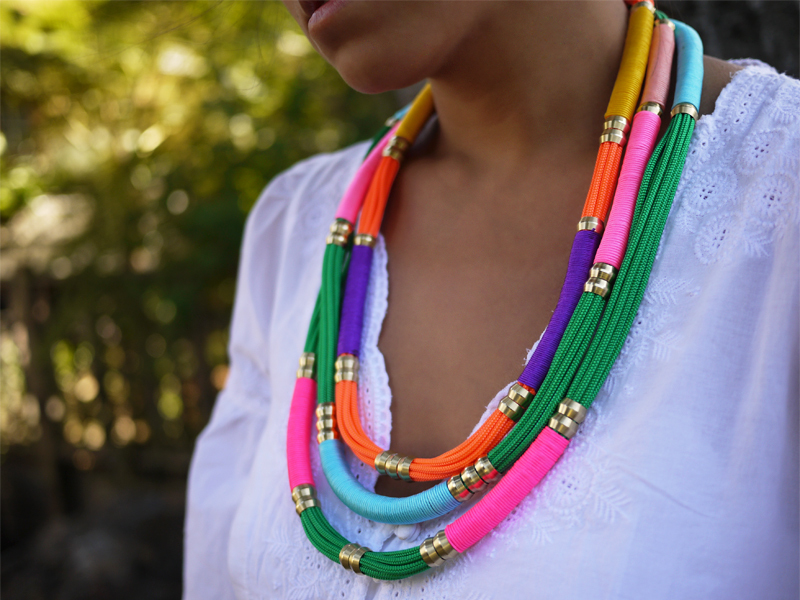 The perfect accompaniment for a beach-y caftan or a little black dress this necklace from Made in A Day is full of color and interest. The tutorial is fantastic, highlighting several different color and tassel combinations. 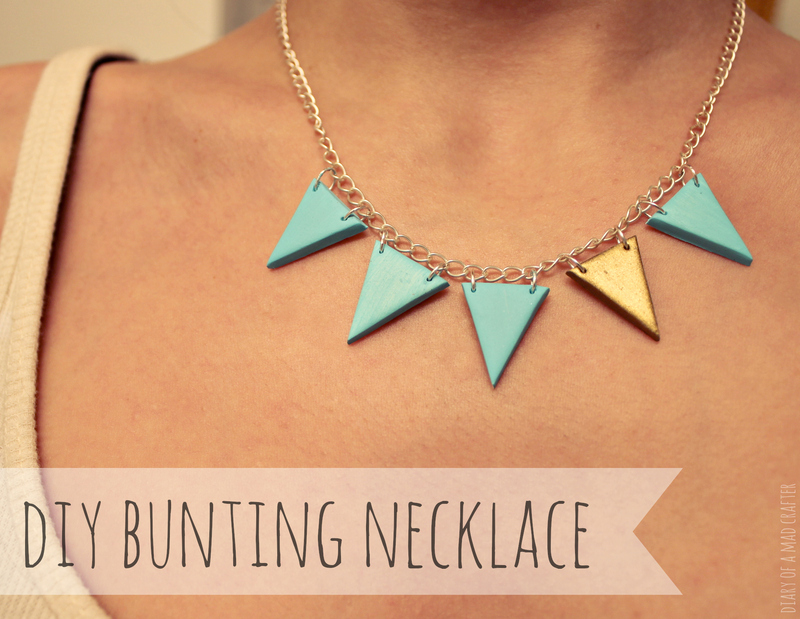 This eye-catching necklace from Honestly WTF looks so fun to make! Really, with pom-poms and rope in fantastic colors, you cannot go wrong! 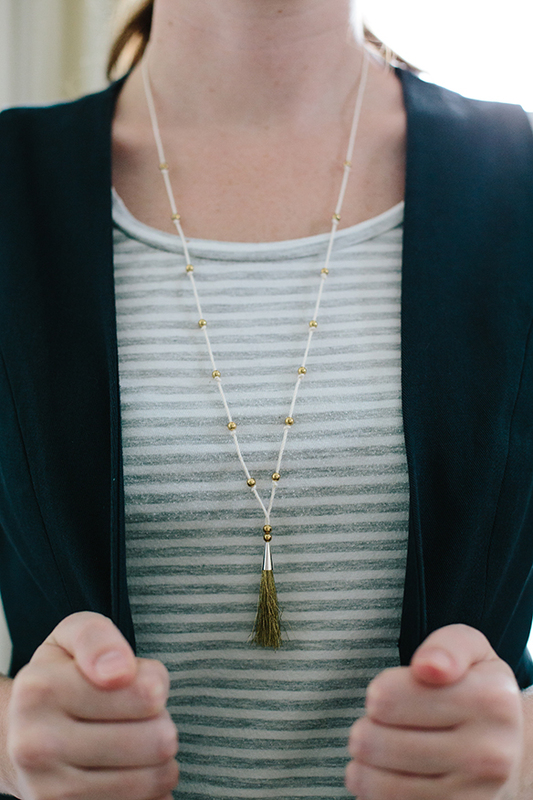 These sweet tassels from Sugar and Cloth look easy and versatile. Perfect for making make a bunch in different colors to liven up a variety of breezy, spring outfits. 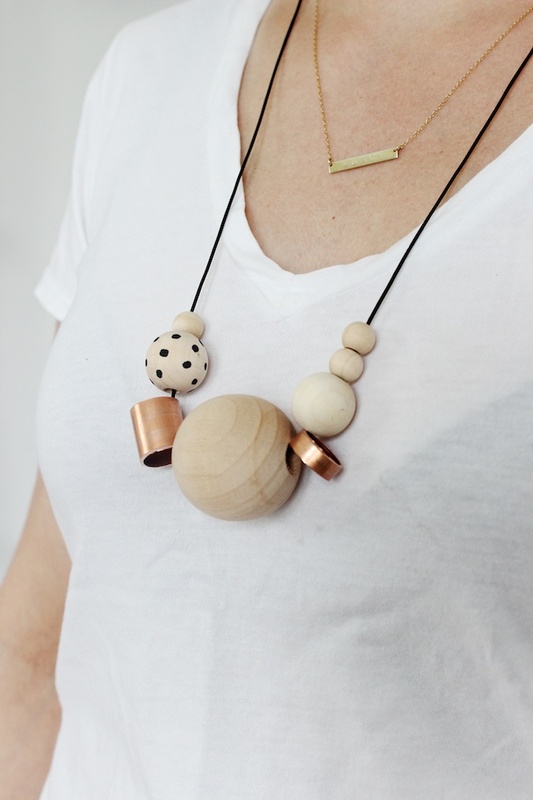 Pearls & Scissors uses nail polish and wood for a shiny, exciting bauble-y necklace. If that isn’t a conversation starter, I don’t know what is. At least for the people you want to talk to. This tutorial from Say Yes reminds us that a statement necklace doesn’t have to be loud to be stunning and uber-interesting. It’s hard to believe that combining plumbing supplies and utility rope could make such an amazing piece of jewelry! This necklace from Honestly WTF manages to do both and makes it almost irresistible to make our own! 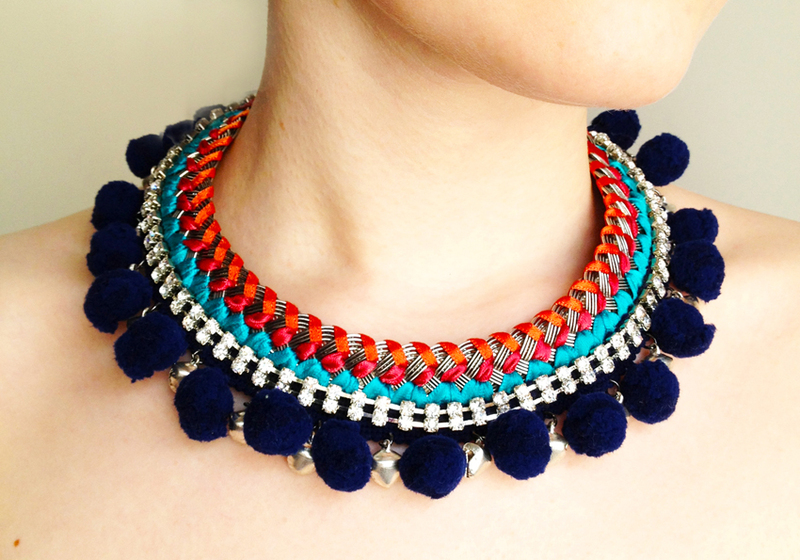 Play with color by combining the texture of beads with embroidery thread with this beauty from Yeah I Made it. 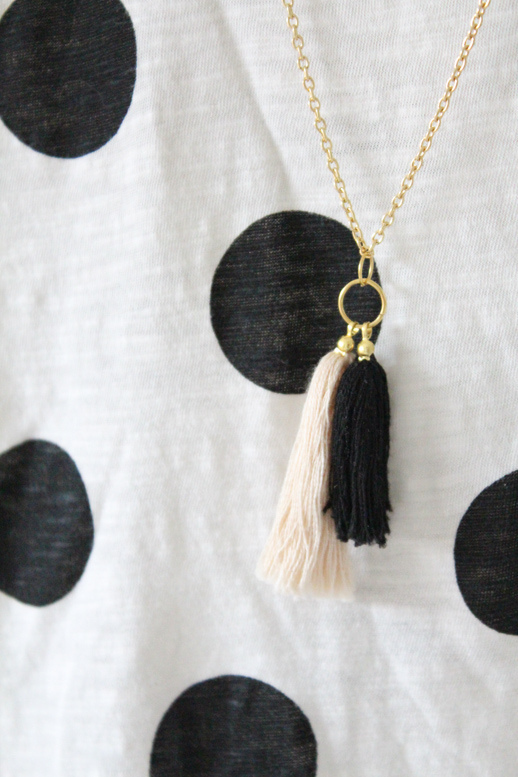 Mix and match to create your very own style with this tutorial that includes how to make three different tassel necklaces from Babble.com. Three different flirty, fun tassel options. Swoon. This inventive design from I Spy DIY makes perfect use of funky ribbon to add color and interest to a spring outfit. Plus, it looks like a great project to sit outside and work on. Ah, the joy of fabric! 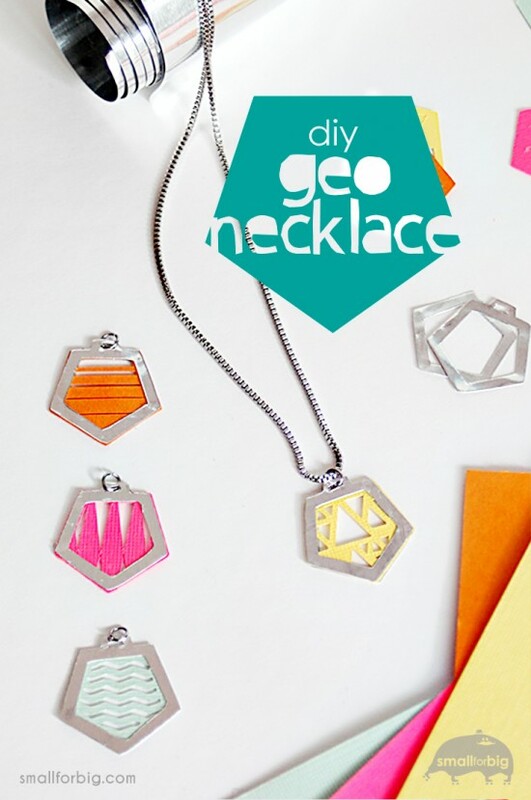 Create a necklace that pops! Highlight pieces of fabric on these necklaces from Very Purple Person. These are made with stunning kimono fabric but if you don’t have that on hand any textile adds interest! 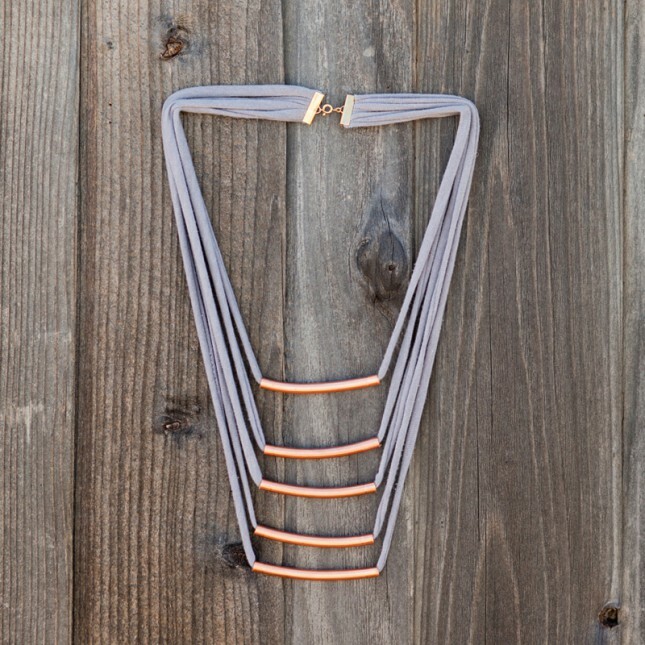 Who would have thought that pairing a t-shirt and copper tubing could be so beautiful?! This upcycled necklace from Brit & Co is only one of 15 clever ways they use old t-shirts to make jewelry but it’s my favorite of the bunch. Buntings always remind me of parties. So, why not make it a party on your neck with this one from Diary of A Mad Crafter. 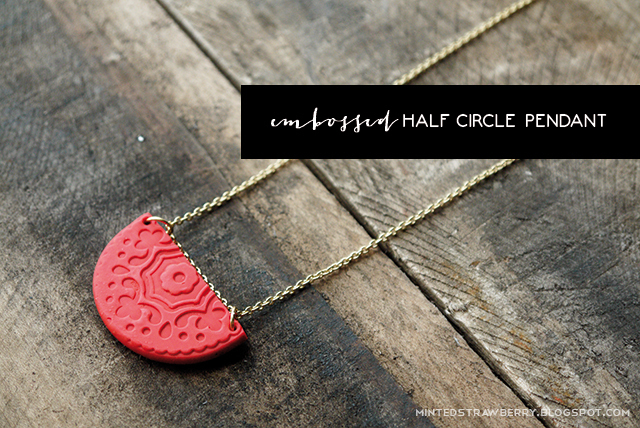 Make good use of a pretty stamp with this stunning necklace from Minted Strawberry. No one will believe you made it yourself. 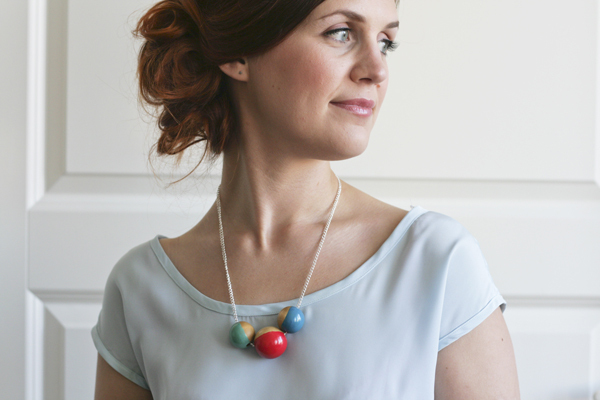 This playful necklace from Delighted Momma is the perfect bold statement or make it smaller for a more delicate look. Perfect for cocktails or stunning as beach day wear, this gold-hued piece from Flax and Twine is sweet without being cutesy. It’s clever construction leaves it looking whimsical but sophisticated. 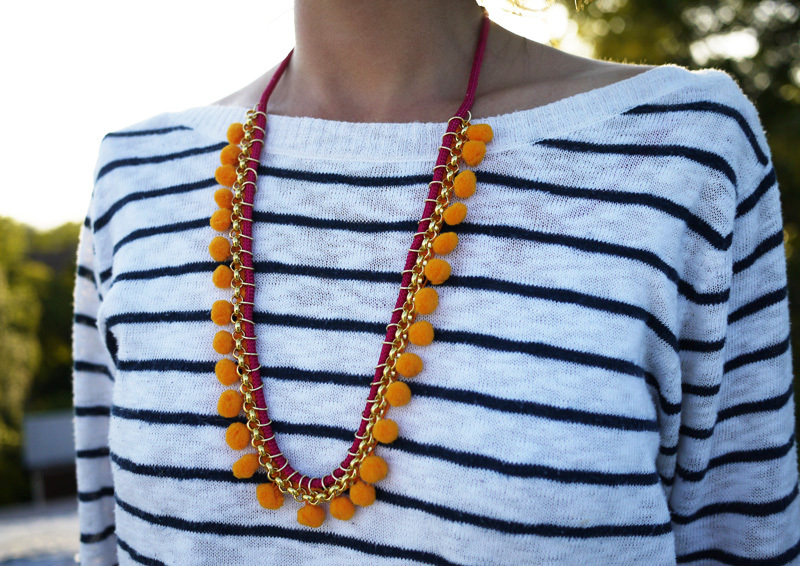 Add a punch of color and eye-catching metal with this long necklace from Small for Big. These would also look great layered with complimentary colors. Leather is the classic yet unexpected neutral. This Chevron necklace from Small+Friendly is easy to make and the perfect fit for pretty much everything but looks especially good against bright, spring colors. Tutorial includes instruction on how to make an awesome bracelet, too! 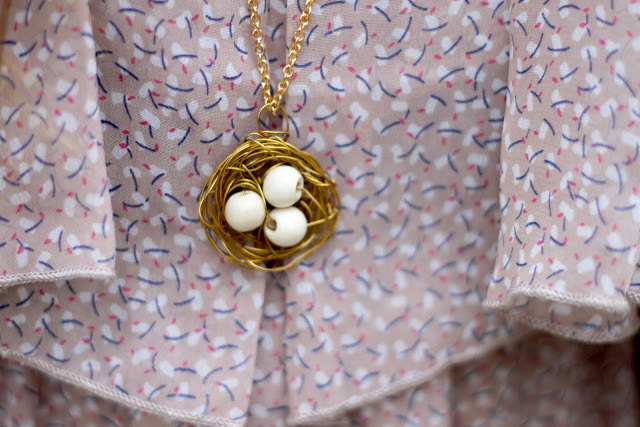 What is better for spring than a bird’s nest necklace? Not a whole heck of a lot! Wind a lovely bird’s nest in this tutorial from Sincerely, Kinsey? This would be a great necklace for Sunday brunch and looks so much fun to make. 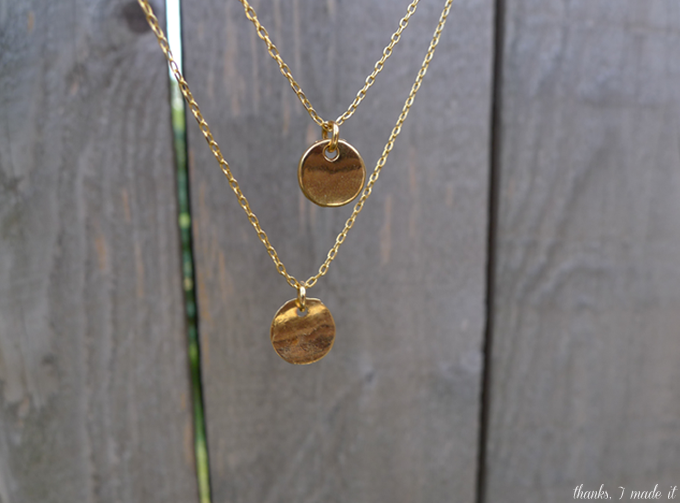 These light, layered necklaces from the creative minds at A Beautiful Mess are perfect. Hand stamp out your own message to the world. Bold, pastel and eye-catching this necklace from Lulu the Baker has that ‘real jewelry’ look with an easy-to-make approach. 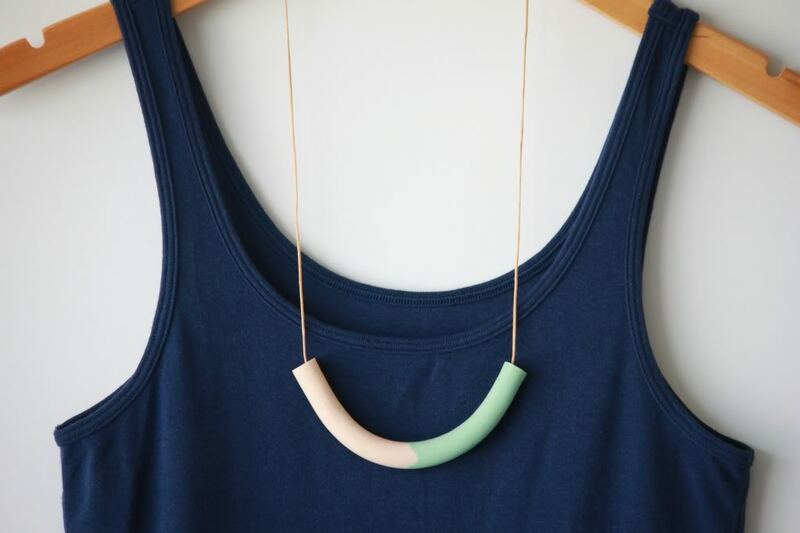 How playful is this necklace from See Kate Sew? 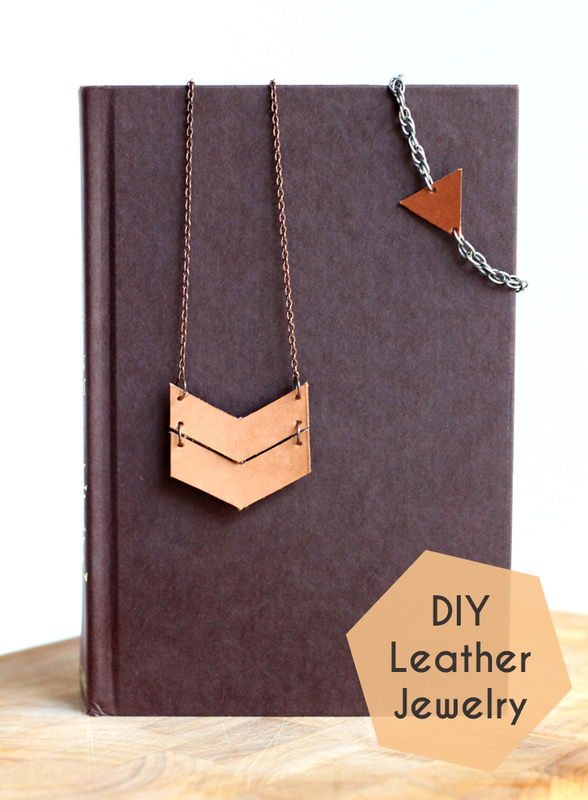 Who knew that a breezy combination of wood, copper, and leather string could look so good together! This fashionable necklace from Art Actually has a wrapped construction that adds pop and detail as well as a great opportunity for color-contrasting. From Thanks I Made It, this necklace makes great use of sweet charms to add a touch of glittery, easy-to-make elegance to date night. 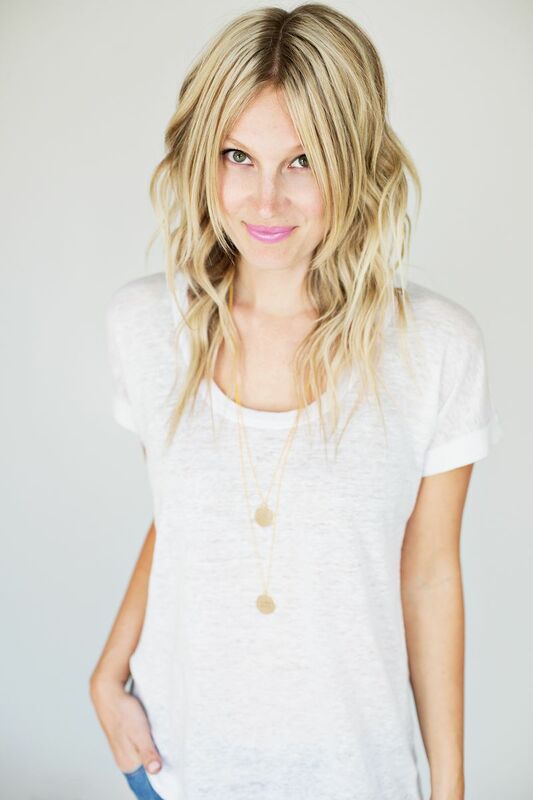 Make it super long for a layered, casual look. 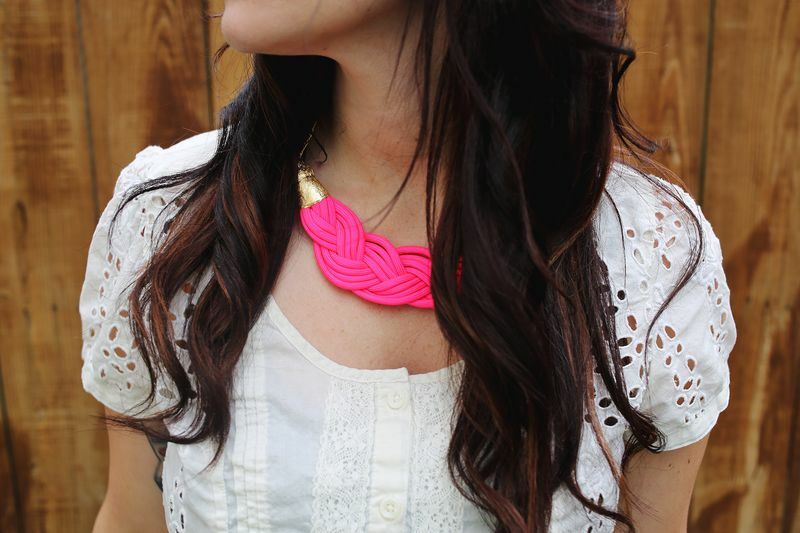 You really can’t go wrong with a pink rope necklace. This one from A Beautiful Mess makes for a bold statement with neon and a dash of gold! Looking for more? A mood board and additional inspiration are stored on my Pinterest board. Thanks for sharing my gold ring necklace, Andrea! Fab collection of DIY stunners! Seriously, is it me, or are these huge disappointments in taste? I may be old fashioned, but these look weird and cheap to me. Sorry. This is listed in 300 gifts for mom, and if I got any of them, I’d not be happy. Neither would my mom. Such a pretty necklace!!! I want one!